As the UK’s top supplier of fireplace equipment, The Fireplace Warehouse has an extensive collection of the highest-quality, most competitively priced and hardest-wearing flue liners and chimney cowls available. We are the go-to company for these fire safety essentials, and we have many years of experience advising customers on installing the most advanced and trusted products. Whether your fireplace is an original feature in your home or a new installation, The Fireplace Warehouse can give you the very best advice on fitting the correct liner and chimney cap to enable you to enjoy your fire in comfort and safety. Chimney flue liners are essential for anyone with a solid fuel fire or stove, and we stock a range of flexible stainless steel liners of varying grades, each carefully designed to fit a number of different types of chimneys. 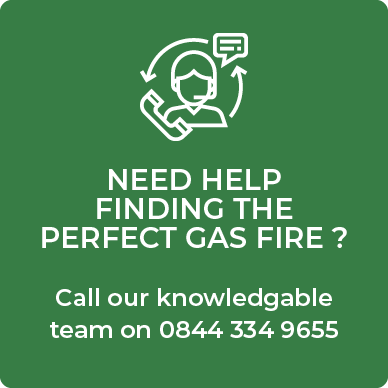 If your fire uses gas, oil, coal, coke, logs or peat, you ought to consider seeking advice and installing a flue liner as a matter of priority. 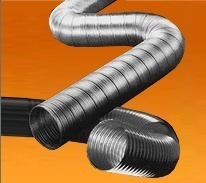 Flue liners are crucial for maintaining your fireplace and chimney, and the benefits of having one fitted are numerous. Liners act as a second skin or barrier within the chimney to protect brickwork and masonry from the corrosive acidic by-products produced when solid fuel is burned. More importantly, they help prevent flue gases from entering your home, which is particularly significant if you have an older or potentially faulty chimney. We also stock a wide range of chimney cowls and chimney caps that can provide effective and long-lasting protection for your chimney. Chimney cowls serve a number of important functions, preventing birds from nesting in your chimney pots and acting as a guard against rain, sleet and snow in order to stop excess moisture from penetrating your chimney stack and collecting at the base. Also known as wind directional caps, some models rotate in the breeze and prevent the backdraft of smoke into your home whilst minimising the risk of burning debris landing on your roof, where it could become a fire hazard. For your peace of mind, The Fireplace Warehouse only stocks the highest quality liners, cowls and chimney caps. 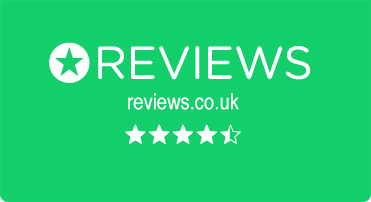 When you buy from us, you can be confident you are purchasing the safest, most long-lasting and well-designed products the industry has to offer, protecting your chimney and allowing you to enjoy your fire in complete comfort and safety.